ST. PETERSBURG, Fla. — Duke Energy Florida is working to safely and quickly respond to Florida customers impacted by Hermine. As of 2 p.m., approximately 57,000 customers were experiencing power outages and more than 146,000 customers had been restored since the storm began. The company has adjusted its restoration plans based on the storm’s impact. Additional crews are heading to west coastal Florida to focus on Pinellas County, where Duke has the highest concentration of customers and consequently a large number of outages. 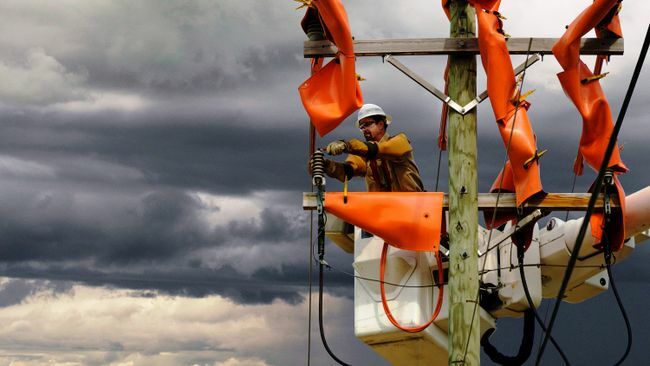 Duke Energy has outages in 31 out of the 35 counties it serves in Florida. More than 1,200 workers have been dispatched throughout the state. Due to the widespread nature of the damage and the geography in some of the impacted areas, the company is continuing to determine restoration times. Based on dangerous weather conditions and to maintain the safety of Duke Energy crews, the company’s overnight response focused on emergency 911 calls for assistance. Crews also performed restoration work as weather conditions permitted and restoration will continue throughout the day. A web page dedicated to information about Hermine is now live: www.duke-energy.com/hermine. One of the biggest challenges with this storm is flooding. If rising water threatens your home—or if you evacuate your home—turn off your power at the circuit breaker panel or fuse box. Despite system upgrades, maintenance and rigorous tree trimming, severe weather can cause power outages. When outages occur for any reason, Duke Energy is committed to restoring power as safely and quickly as possible, while keeping customers informed throughout the process.